When will be Partido a Partido next episode air date? Is Partido a Partido renewed or cancelled? Where to countdown Partido a Partido air dates? Is Partido a Partido worth watching? Partido a Partido (One Game at a Time) is a thriller that tells the story of a serial killer who assassinates some of the most prominent personalities in the elite world of Spanish professional soccer. It will be up to a young and inexperienced sports journalist, Patricia, to stop him. Patricia is married to Diego, a professional soccer player, who is shot in the middle of a game and is left in a coma. The world of sports is in complete disarray with no clue as to why, until surprisingly, the serial killer contacts Patricia and asks for her to be his voice. Partido a Partido next episode air date provides TVMaze for you.  EpisoDate.com is your TV show guide to Countdown Partido a Partido Episode Air Dates and to stay in touch with Partido a Partido next episode Air Date and your others favorite TV Shows. Add the shows you like to a "Watchlist" and let the site take it from there.